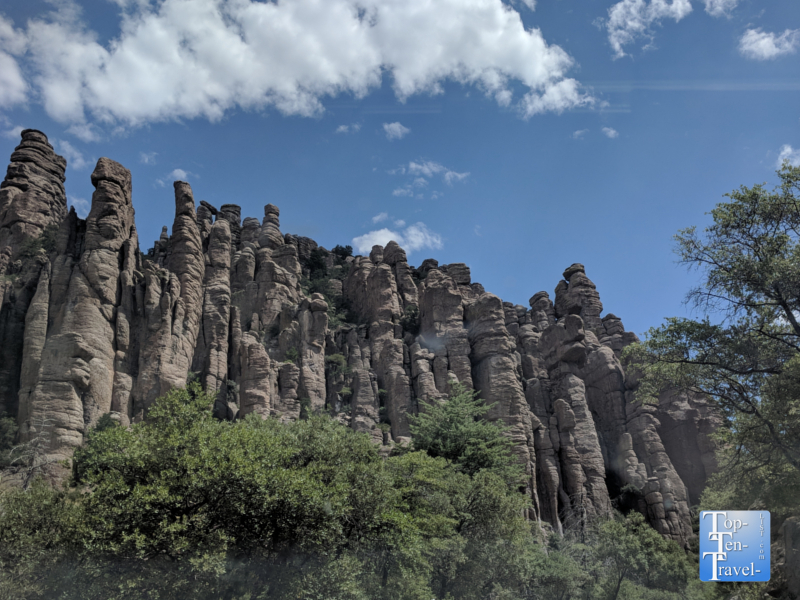 Chiricahua National Monument: "The Wonderland of Rocks" - Top Ten Travel Blog | Our experiences traveling throughout the US. 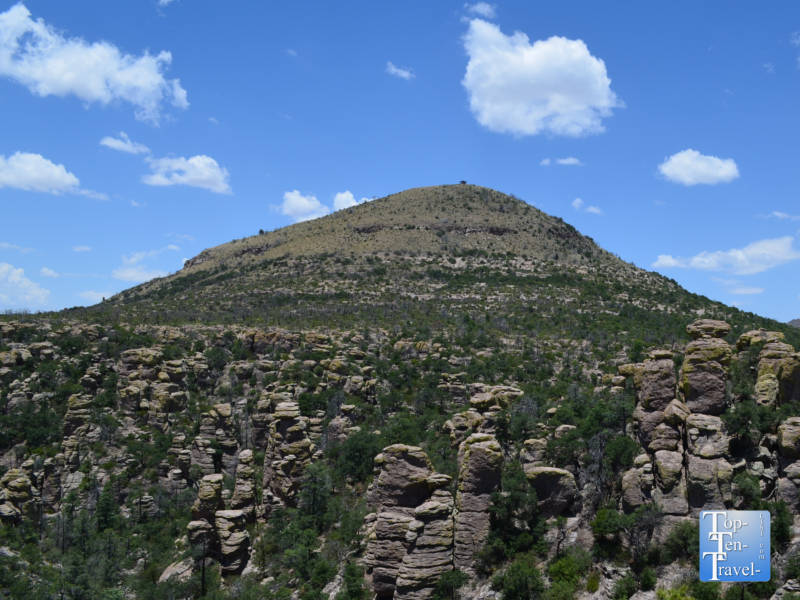 Chiricahua National Monument, a unique natural wonder featuring rare & fascinating rock formations, is the hidden gem of Southern Arizona. 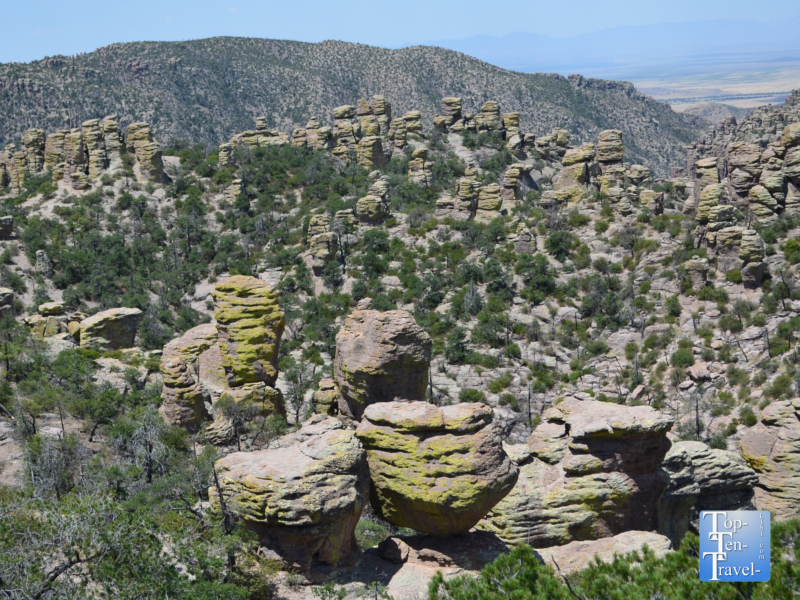 This gorgeous little known place is just 2 hours east of Tucson, and makes for a great little daytrip. 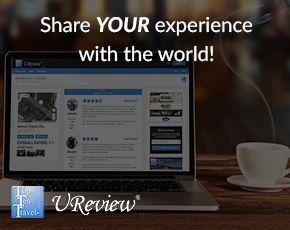 If you are a nature lover, hiker, photographer, or birdwatcher, you will definitely want to make some room for this one on your bucket list. 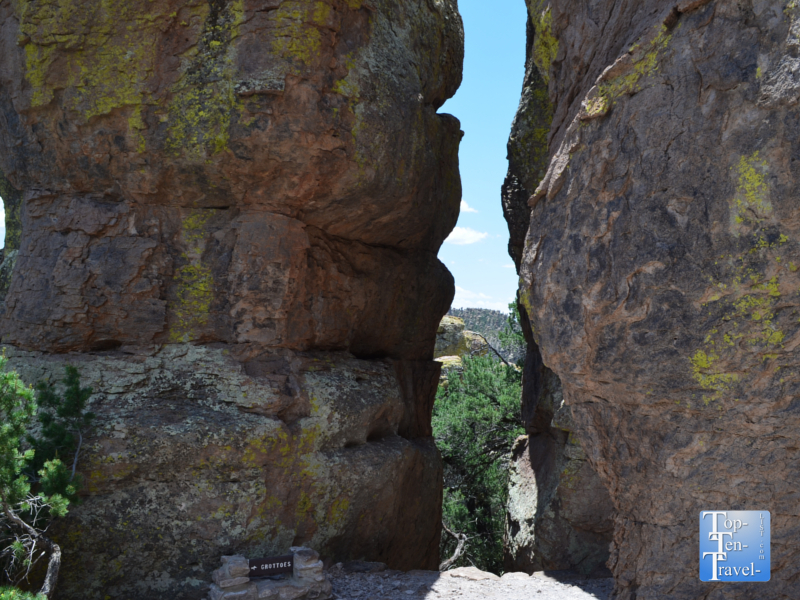 The park offers much to do including an 8 mile long scenic drive, 17 miles of hiking trails, and picnicking areas. Out of all the national monuments/parks in Arizona, this one definitely wins the award for most surreal scenery. 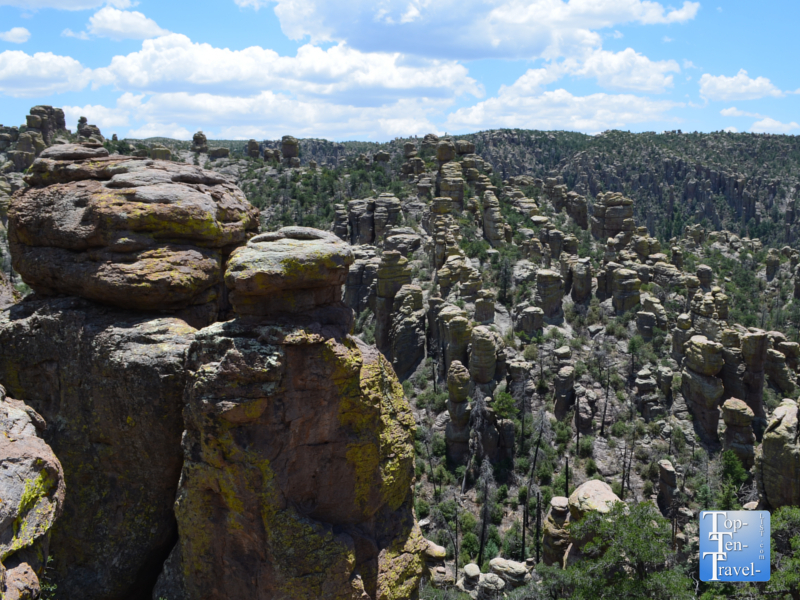 Chiricahua is referred to as “the wonderland of rocks” due to the many hoodoos and balancing rocks which have been preserved throughout the park. The various rock formations were formed about 27 million years ago as the result of a nearby volcanic eruption. The best part about visiting this park, besides the great views, is the isolated nature. You may find yourself completely along on a trail, especially if you visit during the slower summer season. As this park is a bit inconvenient, considering its’ odd location in the middle of the barren desert, it tends to remain underused and underappreciated. 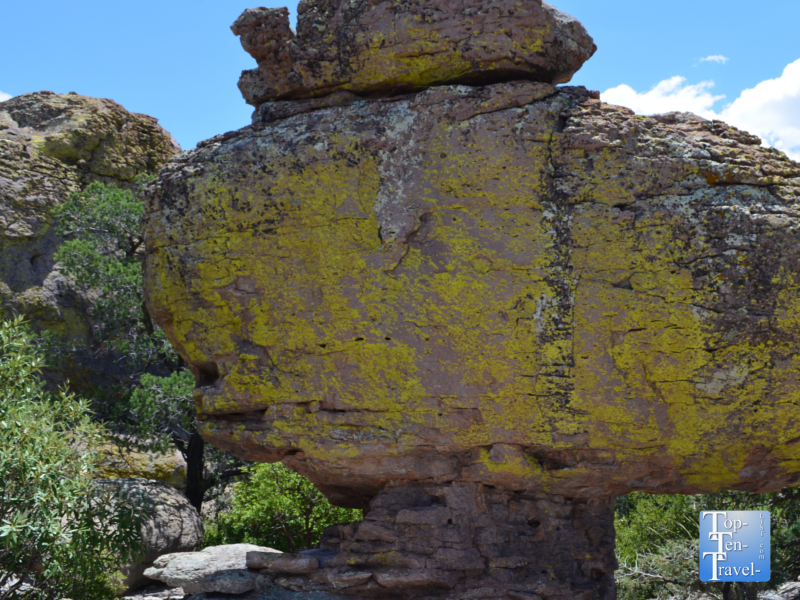 A few of the really unique balancing rocks you will see throughout the park are pictured below – of course, there are many more. 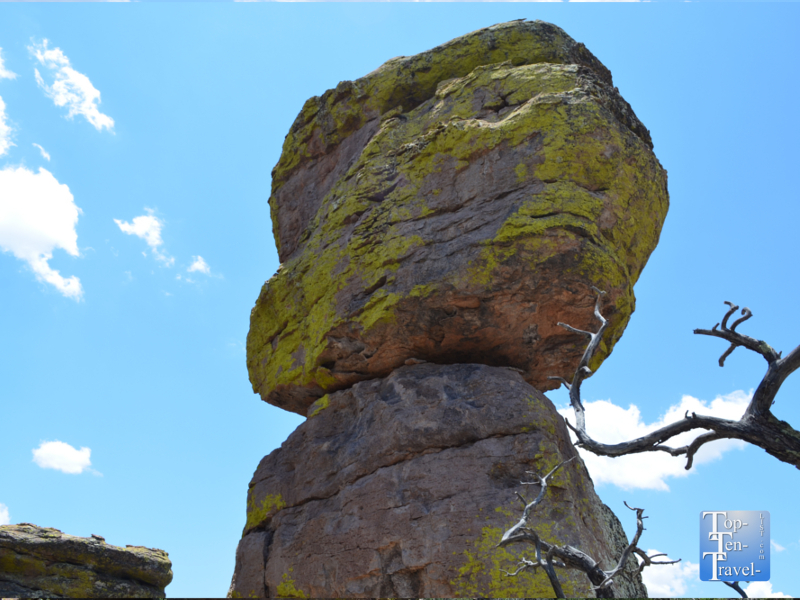 Basically, a balancing rock is a huge boulder which sits atop other rocks, glacial till, or bedrock. As these naturally occurring wonders are only found in a few places around the world, it’s definitely a magnificent sight. Birdwatching is popular here, particularly during the winter season as the birds migrate to and from Mexico, Central, and South America. Over 200 species have been documented including 13 species of hummingbirds, including a few native to Mexico and rarely seen in the states. The diversity of animal life ranges from a rare sighting of a black bear (more commonly seen in the summer months) to the white-nosed coati, a relative of the raccoon, rarely seen outside Southeastern Arizona. 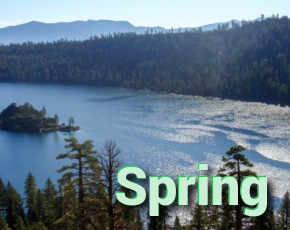 The must-do here is the incredibly scenic drive which consists of 8 miles of pure uninterrupted beauty. 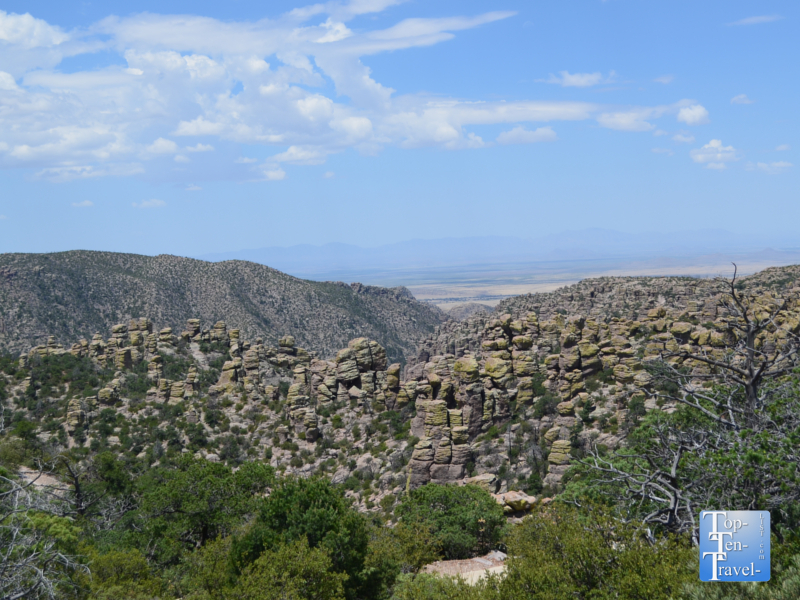 You’ll see the towering hoodoos lining the side and come across a number of scenic viewpoints. 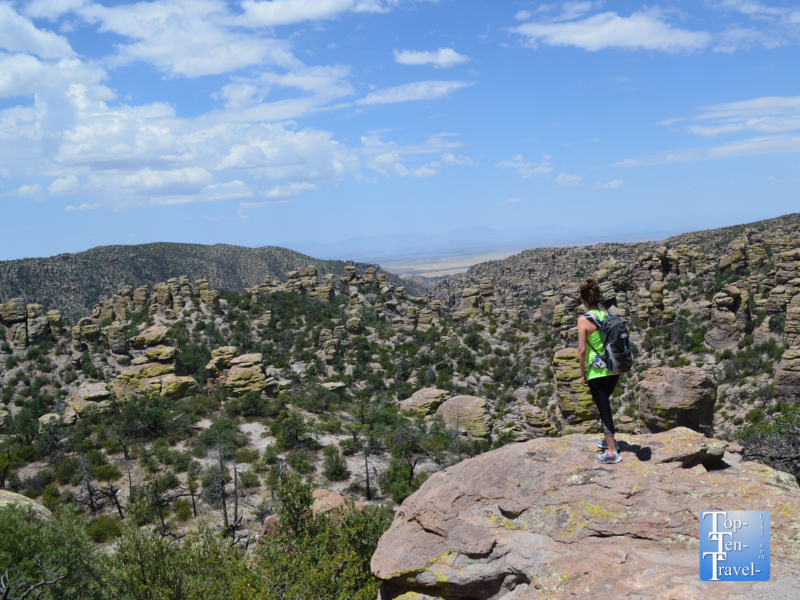 As for hiking, Chiricahua offers a diverse range of trails, some easy nature strolls and others intense all day adventures, better suited for the cooler season. 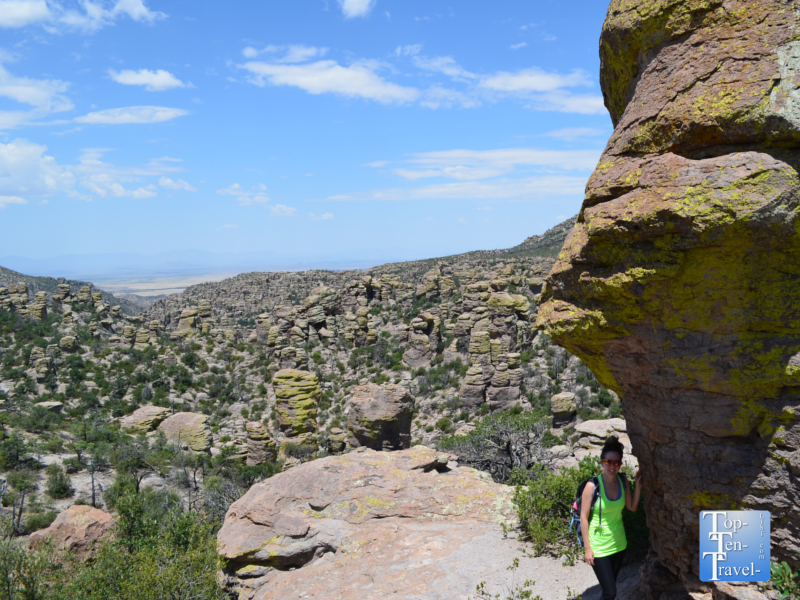 It can get incredibly hot here during the summer season (plus there is no shade to be found in the desert), so you need to keep it simple if hiking during this time. Masai Point Nature trail – This trail is just 0.5 miles long and features outstanding views of the surrounding mountains and hoodoos. 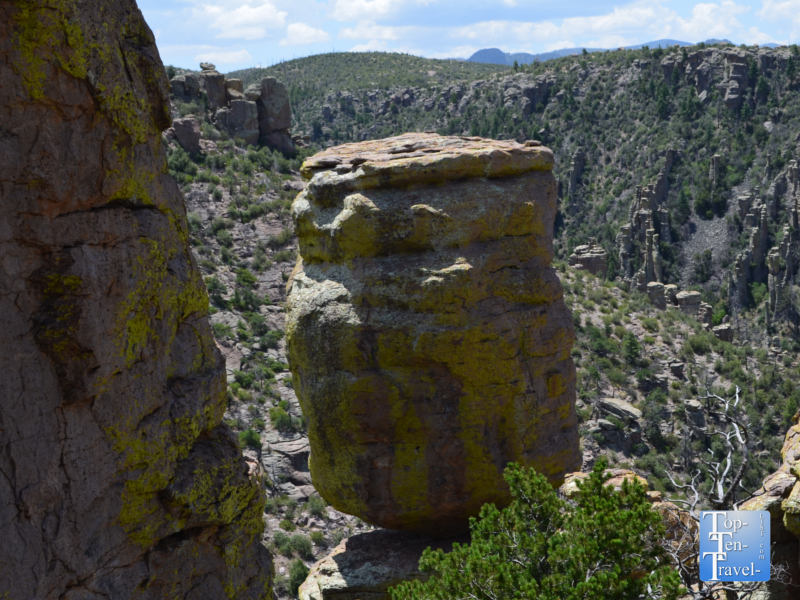 There is a big balancing rock along the way and numerous overlooks to take pics and simply enjoy the breathtaking scenery. It seems as if the views go on forever as there is no civilization anywhere in sight. Interpretative signs provide interesting historical info on the history of the area. 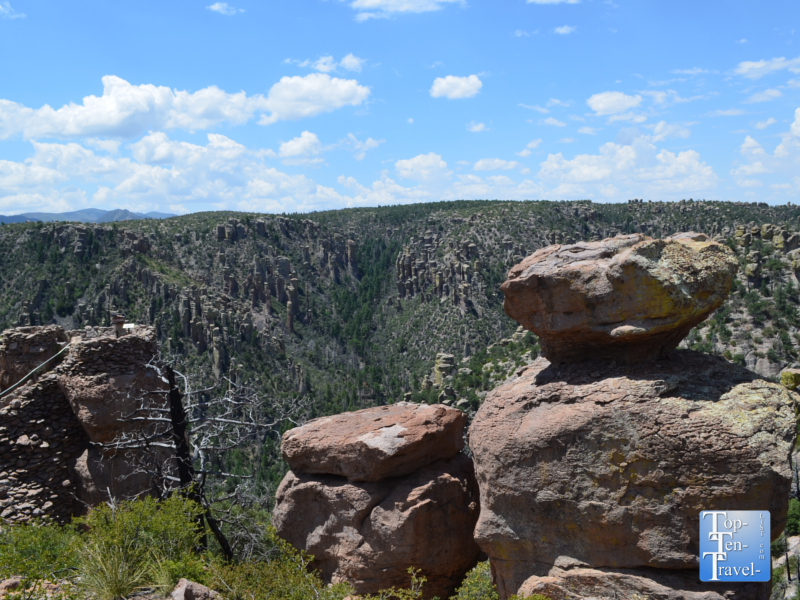 Echo Canyon Grottoes – This 0.5 mile out-and-back hike is a great short alternative to the full 3 mile Echo Canyon trail, particularly during the summer season when it is just too hot to be outside for too long. 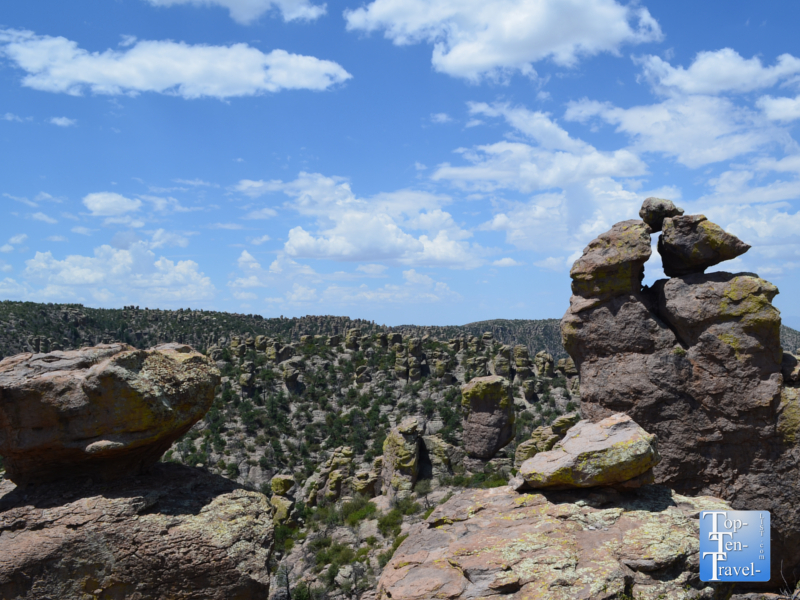 During your hike, you will see lots of interesting rock formations, balancing rocks, and hoodoos. It’s so peaceful and quiet here – walking around the trails here is an amazing experience, especially if you are coming from a congested suburb or city. You can really recharge and refresh out here in these natural surroundings before heading back to the grind. 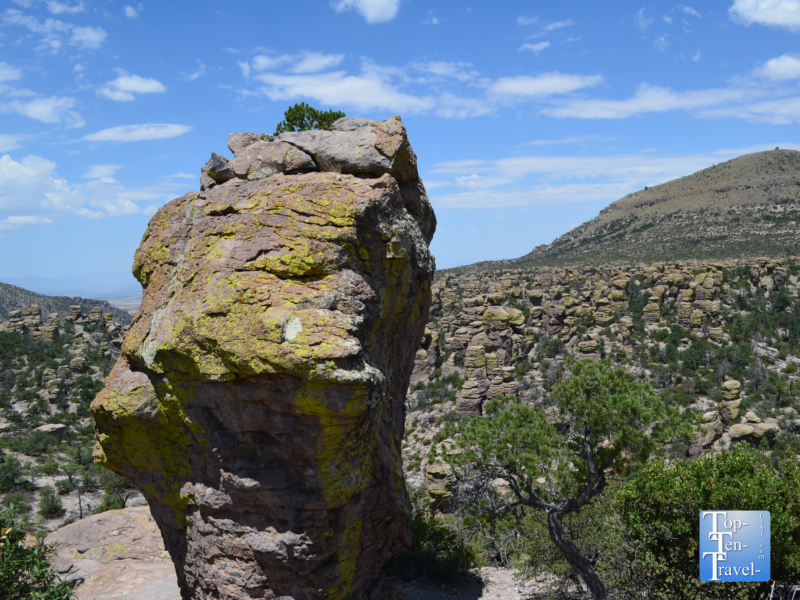 Location: Chiricahua is located at: E Bonita Canyon Rd, Willcox, AZ 85643. Hours: Visitor Center hours are 8:30am-4:30pm.